At Smile Spa Dental Clinic, we offer an extensive range of services to the people using the latest technology available in the dental industry today. It is our priority to create a warm, comfortable and welcoming environment for our patients, and deliver treatment with knowledge and care. We have the luxury of two lounge areas for our patients to choose from. Both offering film entertainment and magazines, to cater their needs. Dr. Amjad AlTaki is the Specialist Orthodontist and Medical Director of Smile Spa Dental Clinic. 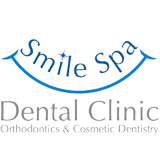 At Smile Spa Dental Clinic, Our Mission is to make a positive difference in the lives of children, youth and adults by offering the highest-quality dental care in a private-office atmosphere. We aim to improve patient health, appearance, self-confidence and overall quality of life, by providing a team of professional, highly educated and committed employees. Our Vision is to be recognized as a dental clinic providing the highest quality in dental healthcare in a friendly, respectful and comfortable atmosphere. Our Goal is to make dental care a painless, positive and cost-effective experience for our patients. In doing so, we offer FREE Smile- Make Over Consultation to new patients as well as other offers for patients to take advantage of, and as a result, improve overall dental health.